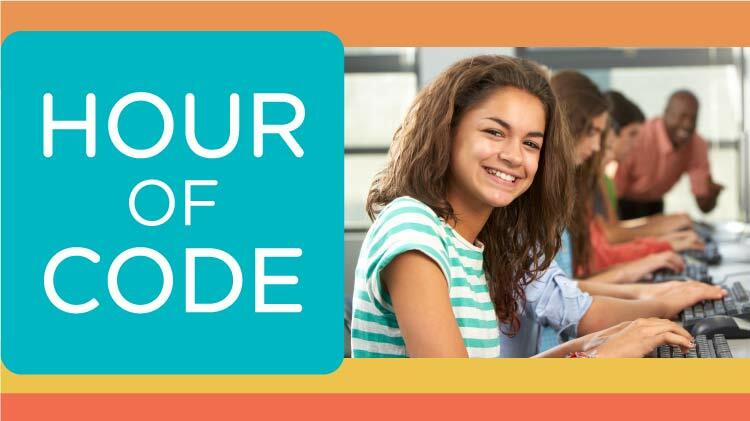 Date: Mar 15 2019, 4 p.m. - 5 p.m.
Come join us the third Friday of every other month for our Hour of Code! Kids will learn beginner coding concepts to create their own unique projects that will stretch the imagination and provide hours of fun! No experience needed. Computers will be provided. Registration is required and will begin 2 weeks prior to: March 15, May 17, July 19, Sept. 20 and Oct. 15. The "Hour of Code" is a nationwide initiative by Computer Science Education Week [csedweek.org] and Code.org to introduce millions of students to one hour of computer science and compuer programming. Registration is required and will begin 2 weeks prior to: March 15, May 17, July 19, Sept. 20 and Oct. 15. Click the sign-up link below and then click on the corresponding date to register.